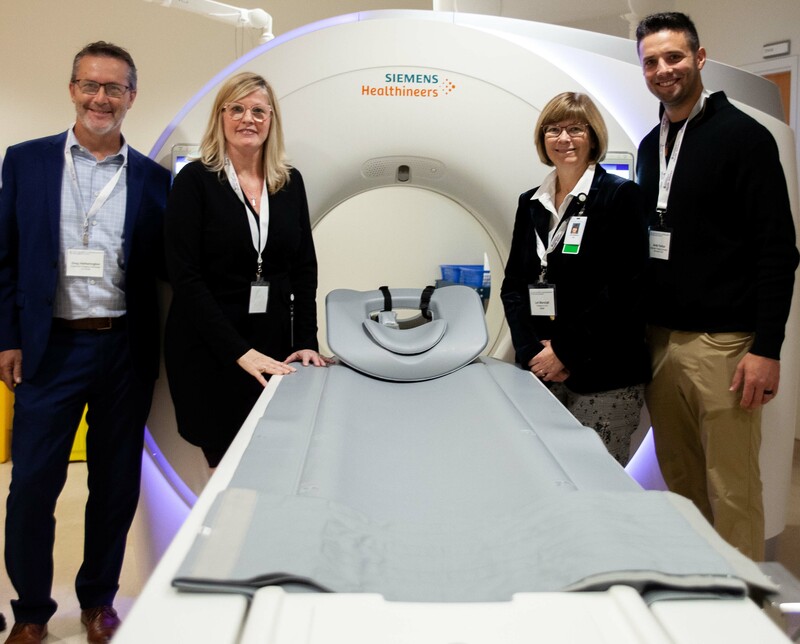 CHATHAM, ON (Friday, October 26, 2018) – Through the efforts of the Chatham-Kent Health Alliance Foundation, today marked the official unveiling of the New CT Scanner and Wiet Peeters & Family CT Scan Suite at the Chatham site of Chatham-Kent Health Alliance. To mark the occasion, a ribbon-cutting ceremony was held in the Diagnostic Imaging Department at the CKHA Chatham site, attended by donors, campaign officials, CKHA staff, and visiting dignitaries. The CT Scanner was the final piece of equipment to be installed for the $6.9 million Diagnostic Imaging Equipment Renewal Campaign. Thanks to the incredible efforts and tireless support of the community, this past May it was announced that more than $7 million had been raised during the campaign to purchase 17 new pieces of diagnostic equipment for the hospital. In addition to the installation of the lifesaving equipment, the ceremony also marked the unveiling of what is now officially known as The CT Scan Suite, Generously supported by Mr. Wiet Peeters & Family at CKHA. Generally, governments do not fund new capital equipment expenditures for hospitals, so it is the mandate of hospital foundations to raise money from organizations, individuals and businesses to purchase these necessary items. To learn more or to make a impact on local healthcare today, please visit www.ckhaf.ca.